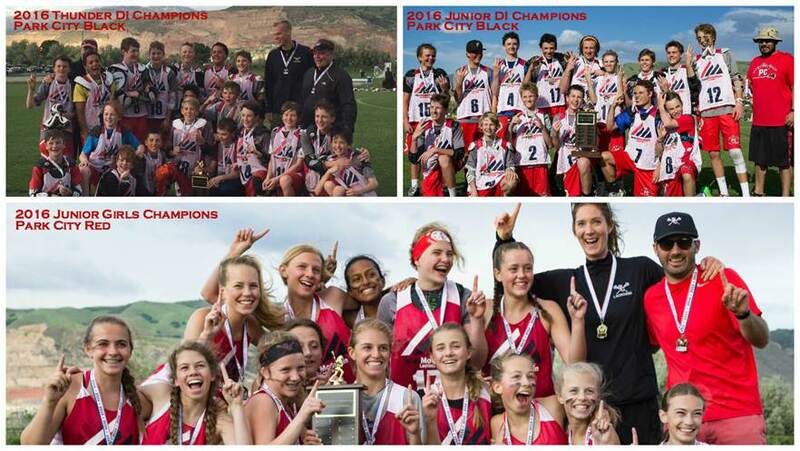 Spring is the primary season for lacrosse, and that is why the Intermountain Lacrosse Youth League offers an extended season, a multi-division structure, and playoffs during its spring seasons. 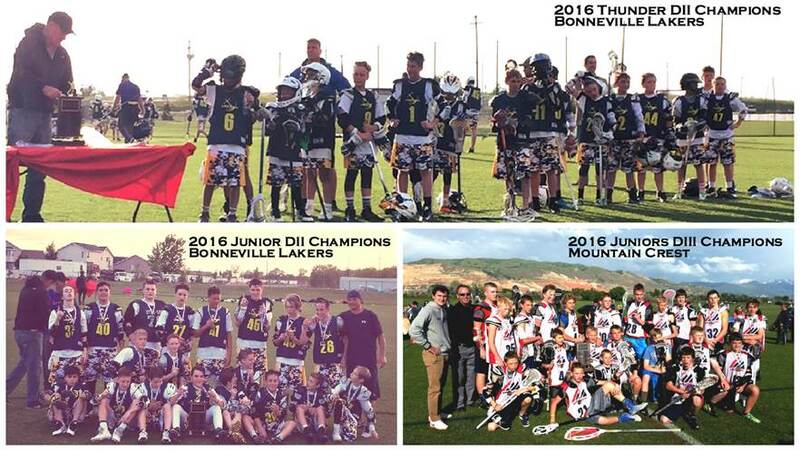 All teams in the Intermountain Lacrosse Youth Leagues play an 8 game regular season, with the possibility to extend their season into the playoffs! (more details on league specific post-season play below). Games will primarily take place on Saturdays between 9:00 PM and 4:00 PM, with the exception of 1-2 weeknight games in the final two weeks of the season. At the Junior and Thunder levels teams are NOT ALLOWED to practice more than 3 times per week (7 day span), and a single practice may not exceed 2 hours. At the Lightning and Storm levels teams are NOT ALLOWED to practice more than 2 times per week. Junior & Thunder Leagues: These two leagues are further divided into 3 separate divisions for boys, 2 for girls. This has been done to provide a more diverse array of lacrosse opportunities more specific to all players, of all skill levels and experiences. Coaches are to assess the skill level of their team(s) and notify the league of which of the three divisions their team should be placed in, in accordance with league policies. Programs with more than 1 team (minimum 16 players per team) at the Junior & Thunder age group will decide how their players are divided amongst each of their teams based on which division they will participate in (see below for more details on each division). Storm & Lightning Leagues: At these age groups there is one single division. For those programs with enough players to field more than one team are asked to disperse the talent of their players equally amongst their teams. There are currently no playoffs offered at these age groups as the primary focus of these leagues is to teach the game, develop the players, and of course have fun! Begining Spring of 2017 IMLAX will be adjusting the Storm and Lightning gameplay format to coincide with the new Lacrosse Athlete Development Model (LADM) recomendations set forth by US Lacrosse focused on teaching players proper skills at the proper age to help players develop & promote a better playing experience with the goal to encourage life long lacrosse participation! Division III (boys only): Developmental division with limited playoffs and championship, Teams are largely comprised of dedicated and hardworking players generally brand new to the sport. Coaches emphasize teaching core fundamentals of the sport from throwing and catching to the rules of the game. Boys - Top 6 teams eligible for playoffs. Boys - Top 8 teams eligible for playoffs. Boys -Top 6 teams eligible for playoffs. Boys - All-Star game in which coaches of all DIII teams select their best and most improved players to attend. All-Star game in which coaches of all teams select their best and most improved players to attend.